Hi, welcome to our little section of the interwebs. My name is Alex Simmens and im the founder and owner of Llanblethian Orchards. 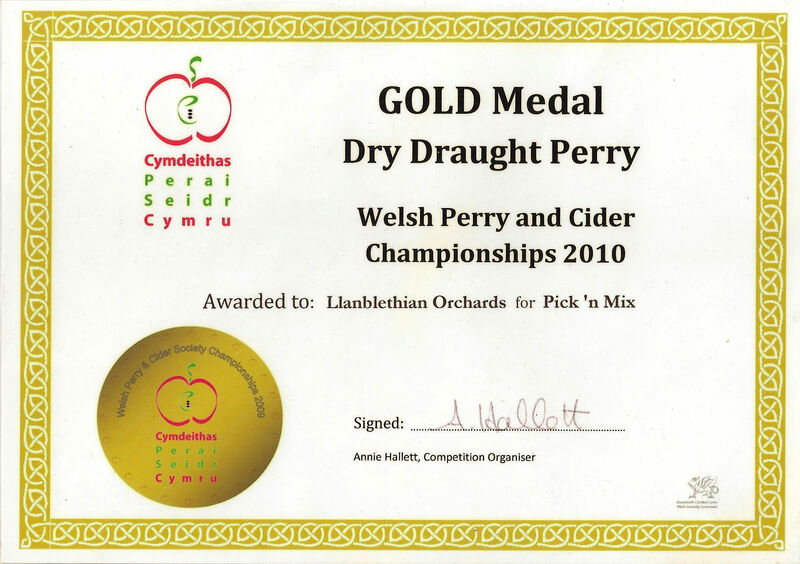 I started making cider as a hobby in the early years of the 21st Century after running ciders bars at University for the Cardiff Students Real Ale Society followed by CAMRA festivals for several years. 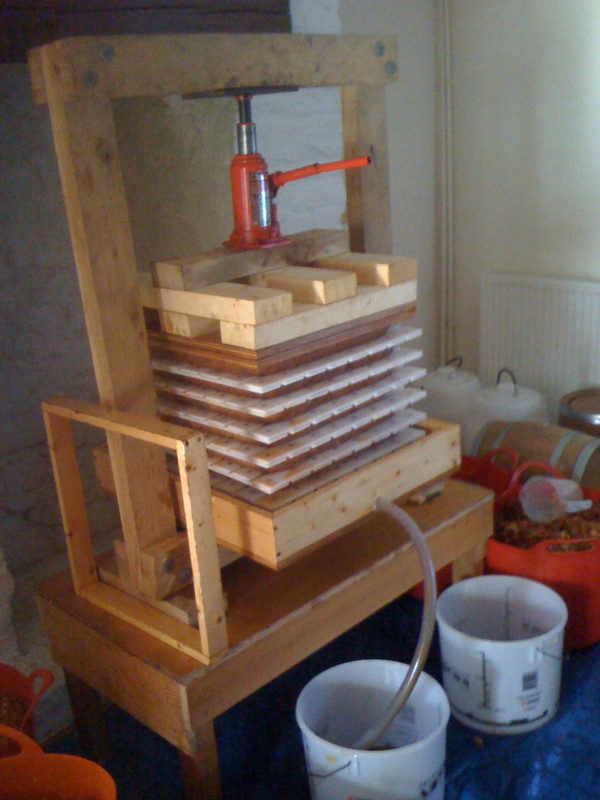 During the early years I made cider at the back of my parent’s house on a handmade wooden press using a mixture of eating and cooking apples sourced from friends, family & neighbours. 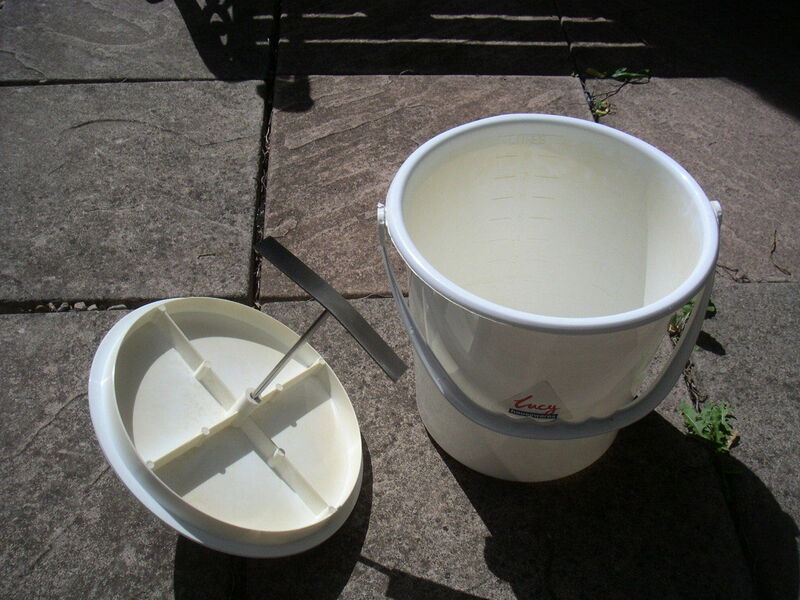 In the season I also volunteered as an apple picker / presser for Dave and Fiona Mathews of then Seidr Dai Cider whose knowledge and assistance was invaluable for a new cider maker just starting out. Thanks Dave! After a few years I decided I wanted my own apple trees to guarantee a supply of top quality heritage ciders apples as I struggled to find fruit at the time. I decided to plant an orchard on some land my family own. 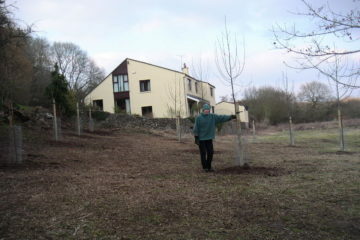 It took my father by surprise asking permission to plant over 100 apple trees on it that’s for sure! 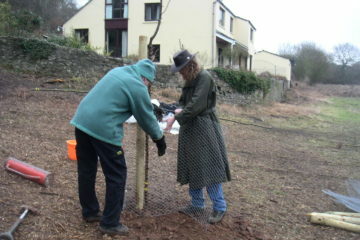 We started planting our orchard in Llanblethian in the winter of 2006 through to the winter of 2008. In total 120 apple and pear trees were planted on traditional full standard (large) rootstocks. 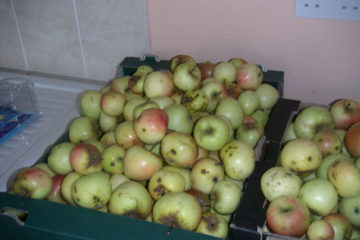 With a selection of 36 apple varieties and 16 perry varieties. 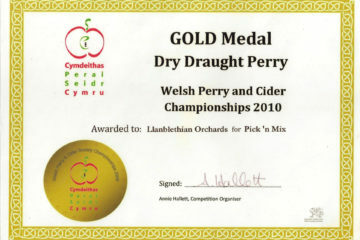 At the time no-one else was growing cider apples in the Vale of Glamorgan hence there was no information on what varieties would be successful. I felt planting a large range of varieties would allow me to determine which varieties grow well for future expansion (and it certainly has!). 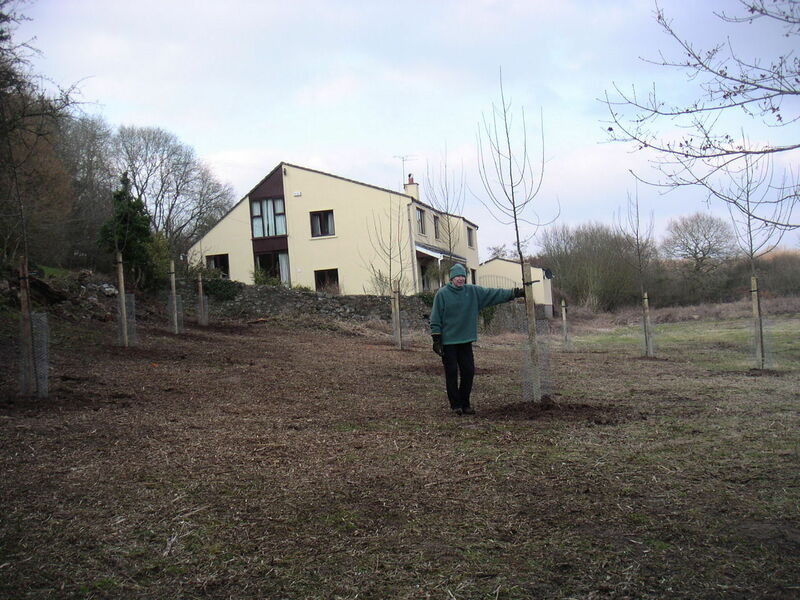 The orchard was planted on M25 rootstocks as full standard trees. I am personally quite against spraying and traditional full standard trees can look after themselves whereas modern orchards with their neat little rows of dwarfing apple trees on stunted rootstocks have to be sprayed continuously so they are not outcompeted by the grass/weeds or killed off by disease. Have you ever noticed why there is a brown strip of grass along the rows of dwarf appple trees in these modern orchards? That is because the grass is sprayed with roundup (glyphosphate) to kill it off. A proven carcinogen. No thank you! 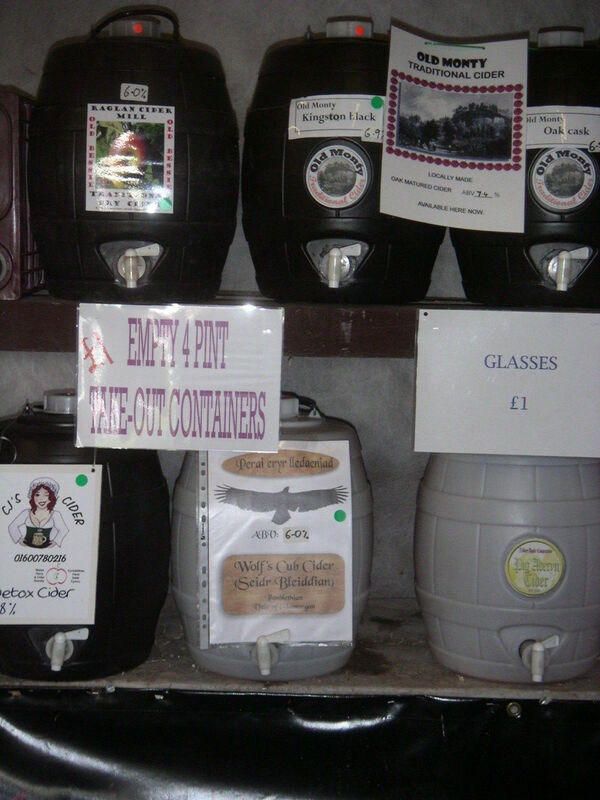 In 2012 I purchased a run down barn on the road between Llanblethian and Llysworney with a mind to rennovate it and make cider in it as well as host small events to celebrate my cider. 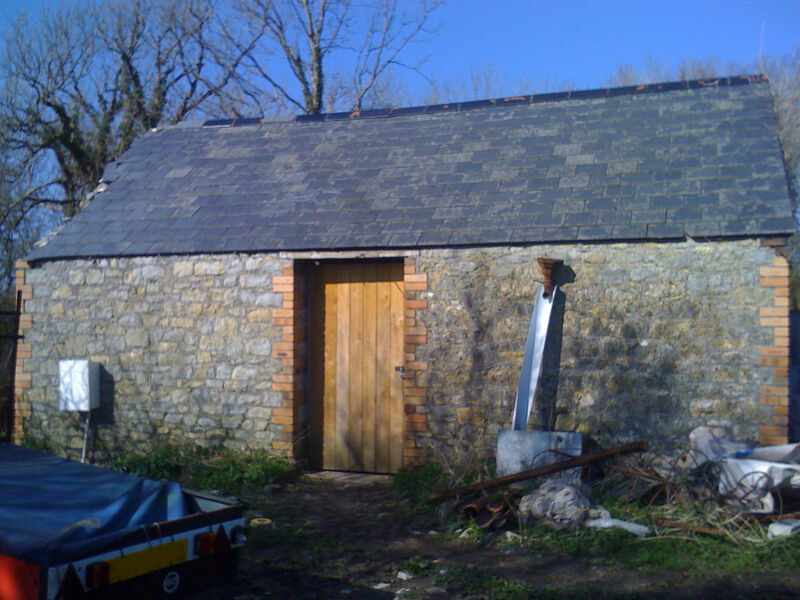 After a whole lot of sweat, tears and a great deal of help from family, friends and some brilliant local builders the barn was rennovated and cider production moved up into the barn. During the winter of 2015-2016 we planted a further orchard around our barn of heritage bittersweet cider apples (Ellis bitter, Dabinett, Yarlington Mill & Ashton Brown Jersey). 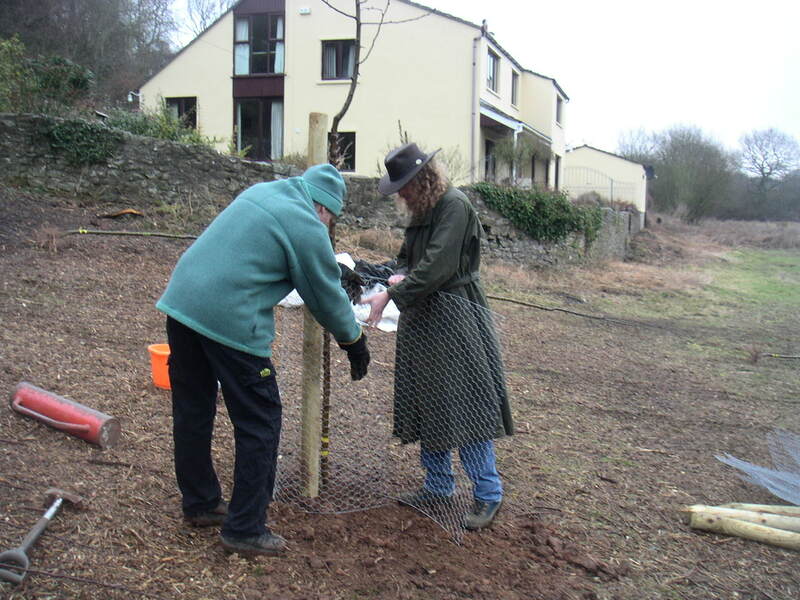 This orchard was not primarily planted for fruit, however, but was planted more for aesthetics as part of our plant to hold open days and cider making workshops at the barn to encourage people to interact more with the countryside and see where their food and drink comes from. In the spring of 2018 we constructed our traditional brick wood-fired pizza oven at the barn and decided it was time to start hosting open days at the barn. We host open days each month of the summer at the barn as well as cider making demos in the Autumn and a traditional wassail in January. The first award we ever won. 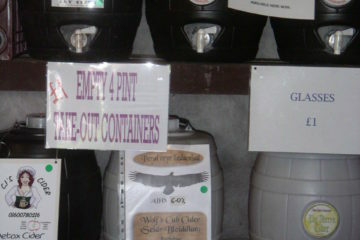 The blend was a mixture of Potato Pear and Hendre Huffcap chosen by Arfur Daley who used to make cider with me. Thanks Arfur! First apples I ever pressed from my mothers apple tree in cowbridge. The pulp master. The first mill we ever used. Powered by a drill. 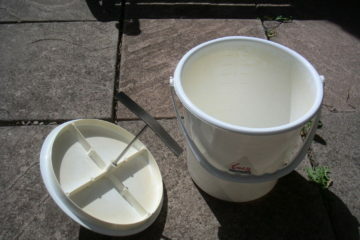 Next year I bought a real mill would not recommend! 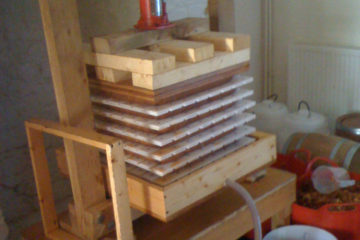 My second press made out of Welsh oak and powered by a 10 ton bottle jack. The first press was made out of pine and lasted a season before cracking. The remains of it are the wooden blocks on top of the cheeses! My father posing after we finished planting the trial section of 11 trees. 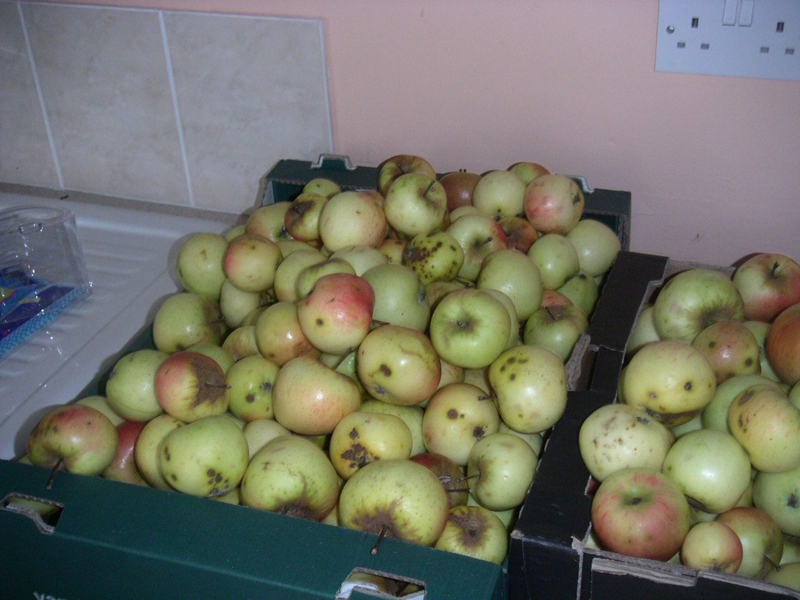 The original varieties were: Yarlington Mill, Bramley's Seedling, Browns Apple, Vilberie, Dabinett, Sweet Copin, Ashton Brown Jersey, Stoke Red, Tom Putt, Kingston Black & Broxwood Foxwhelp. 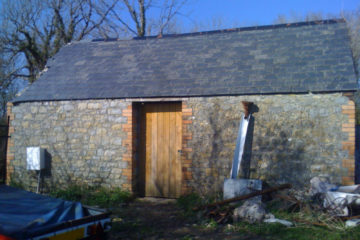 The cider barn before the roof was replaced.